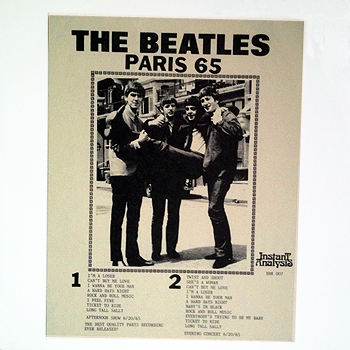 This is a bootleg of the Paris appearance of June 20, 1965. Tracks 1 through 8 are a portion of the afternoon show (side 1) and the rest are most of the evening show (side 2). Estimated release date.